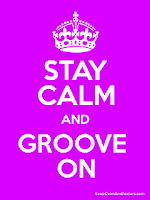 I’m sticking to the 1950’s for a “lost” HOTG session that gives good groove. It's an exceptional track and, to me, the hippest version of this tune. Around 1949, Paul Gayten wrote “For You My Love” in New Orleans and, with his band, backed Larry Darnell’s hit version on Regal that year. 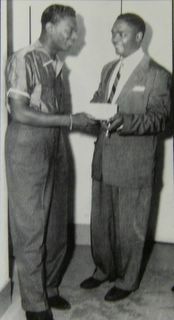 Nat King Cole and Nellie Lutcher (originally from Lake Charles, LA) also covered the tune to good effect in 1950. By 1957, Gayten was working as a recording artist and New Orleans A&R man for Chess Records, producing, among others, some of Eddie Bo’s early sides and classic sessions for Frogman Henry and Bobby Charles. For his version of “For You My Love”, which was never released at the time, Gayten used some of the same great local session players he cut with regularly. His arrangement of the tune is a departure from the earlier r&b versions, as it rocks and rolls, but with a distinctly Cuban/New Orleans feel. Master of the drums, Earl Palmer, makes this happen with his Latin accented stick work on the bell of his cymbal over the Crescent City bounce of his snare. Edgar Blanchard uses muted notes on his guitar to deftly double the cymbal rhythm through most of the song, then tears into a distorted solo that, besides being sonically ahead of its time, is some of the best riffing of the decade by a New Orleans guitarist. Roland Cook pumps what seems to be an acoustic bass; and Gayten runs up and down the piano keyboard with his usual abandon. His rhythmic delivery of the clever lyrics is fine, but almost too smooth for something this rockin'. Still, why was this hot track not issued? You can find it and a number of other tunes with Palmer's drumming and Blanchard's playing on the now out of print Gayten LP/CD compilation, Chess King of New Orleans. 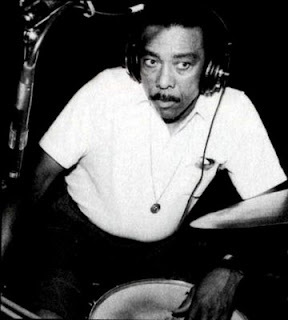 Following Earl Palmer’s move to Los Angeles in the mid-1950’s, Hungry Williams took his place in New Orleans as a drummer who could not only drive the beat, but apply complex poly-rhythms of the street and the city's cultural heritage, preparing the way for funk. Part 2 of this feature shows him at work. Note: If you’re into the technical aspects of HOTG drumming, check out this site (and related book). this may, indeed, be the greatest record ever made. Killer track, thanks for this one Dan. Love the drumming. Glad y'al dig it as much as I do, or maybe even more in the case of anonymous #1. As for the not so anonymous #2, you're welcome. Hungry Williams was a monster in his day. I read recently that he showed some stuff to James Brown's drummer around the time that band got the funk. If true, it explains a lot! Keep in touch.